← Get Waves Plugin-ins at 50% Off – One Day Only Sale ! 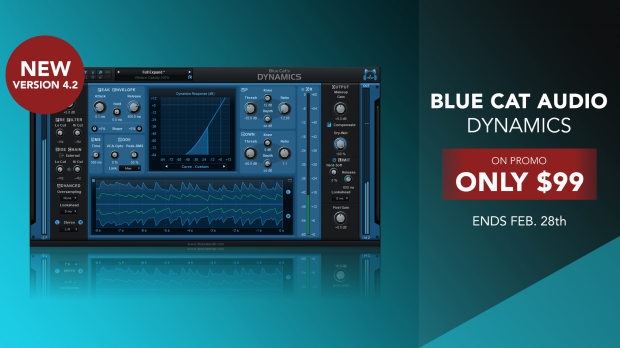 Blue Cat Audio release Dynamics 4.2 with $99 promo price. Save 23% on list price until February 28th! Get Blue Cat Audio’s “Dynamics” Here ! New GUI design, with improved usability and touchscreen support. This entry was posted in DontCrack, Plug-ins, Promotions and tagged Blue Cat, Blue Cat Audio, Compressor, Dynamics, Expander, Limiter. Bookmark the permalink.